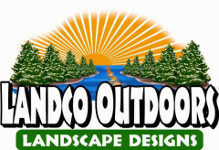 Landco Outdoors is proud to offer the highest quality landscape maintenance to those in the Fayetteville area. Our crews are well-trained, uniformed, courteous, and take pride in keeping your landscapes beautifully maintained. We believe that all clients should enjoy the same quality of workmanship no matter how small the service, or how large the project. We understand that your landscape investment is a large part of your assets, and we will strive for perfection when working with your property. We maintain Restaurants, Shopping Centers, Office Complexes, and Associations. Our residential customers have more specific needs and are treated uniquely and individually. Our main concern is to ensure all of our customers that their landscape design will be maintained to our fullest potential, and kept at its highest level of appeal.